& Finally Into a New Home - Will it be Your Home? Parrotco.com is the online division of Parrots & Company located in Stamford CT. For the past 37 years Parrots & Company has been regarded as one of the finest exotic bird breeding facilities and pet bird stores in America. The store occupies over 8000 sq. feet with hundreds of birds, thousands of bird products and bird supplies, the store also offers bird related services such as; bird boarding, bird grooming, DNA sexing and more. Our objective at Parrotco is two fold; to create a platform where we can share experiences and collectively have a positive impact on the pet and aviary bird community, secondly to offer visitors the same great shopping experience that our guests enjoy at Parrots & Company. 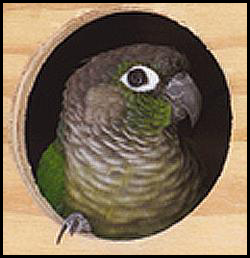 Parrotco.com can be the online source for all of your companion bird needs; bird food, gourmet bird treats, parrot toys, bird cages, bird playpens and play gyms, natural parrot trees and a large selection of bird supplies. 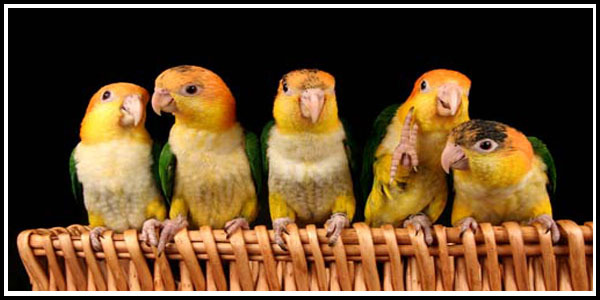 Join us on Facebook, participate in the conversation, share your experiences with fellow pet bird enthusiasts. We look forward to those of you in New England visiting us.